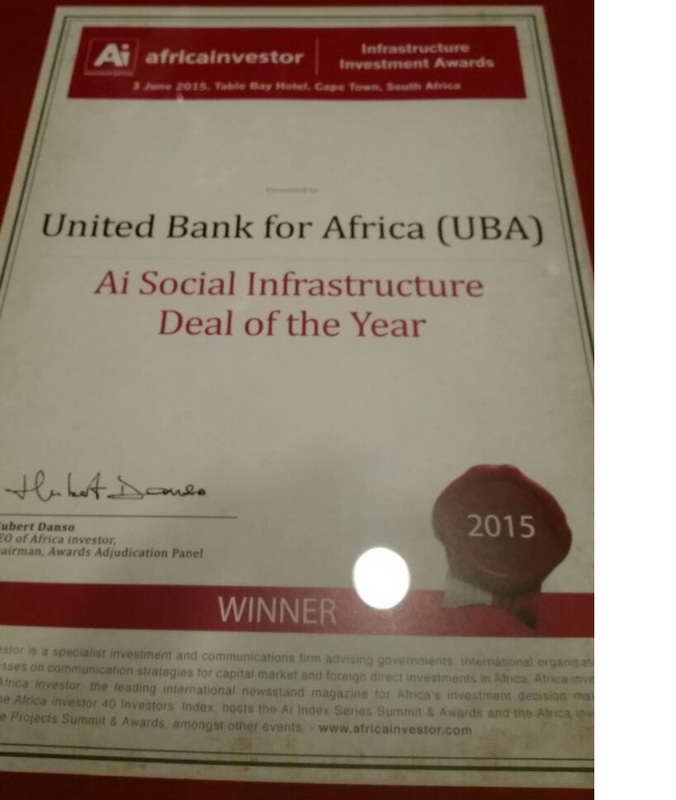 Pan-African financial services group, United Bank for Africa (UBA) Plc has won the African Investor (Ai) Social Infrastructure Deal of the Year award. The award was announced at the Ai CEO Infrastructure and Sovereign Investment Summit in Cape Town, South Africa last week. Now in their 8th year, the highly sought-after Ai Infrastructure Investment Awards formally recognises achievements across the main infrastructure sectors in Africa, and reward the institutions and personalities driving transactions and improving the continent’s infrastructure investment climate. UBA was given the award for its significant investment in social infrastructure across the continent in building the economic capacity of the communities in which it does its business. Commenting on the awards, Phillips Oduoza, Group Managing Director/CEO, said it was a reflection of the bank’s commitment to supporting the growth of critical sectors of the African economy with its financial expertise and strong balance sheet. The Social Infrastructure deal of the year award is third award UBA is winning within the last one month. The bank, in May 2015 won the Corporate Affairs Commission (CAC) Corporate Citizens Award in the ‘Extensive Compliance Category at the maiden edition of the awards ceremony organised by CAC in Abuja. The Corporate Citizens Award, which is open to all registered companies in Nigeria, promotes the culture of good corporate governance in the Nigerian environment by recognising corporate citizens that have conducted their affairs in compliance with statutory requirements and best practices. In the same month of May 2015, UBA Foundation, the corporate social responsibility arm of UBA Plc, also won the inaugural “Spirit of Lagos Citizens’ Day Award” in the Business and Corporate Organisations category. The Citizens Day award is set aside by Lagos State to recognize and celebrate individual and corporate citizens doing extra-ordinary work in their communities, businesses and the public service. 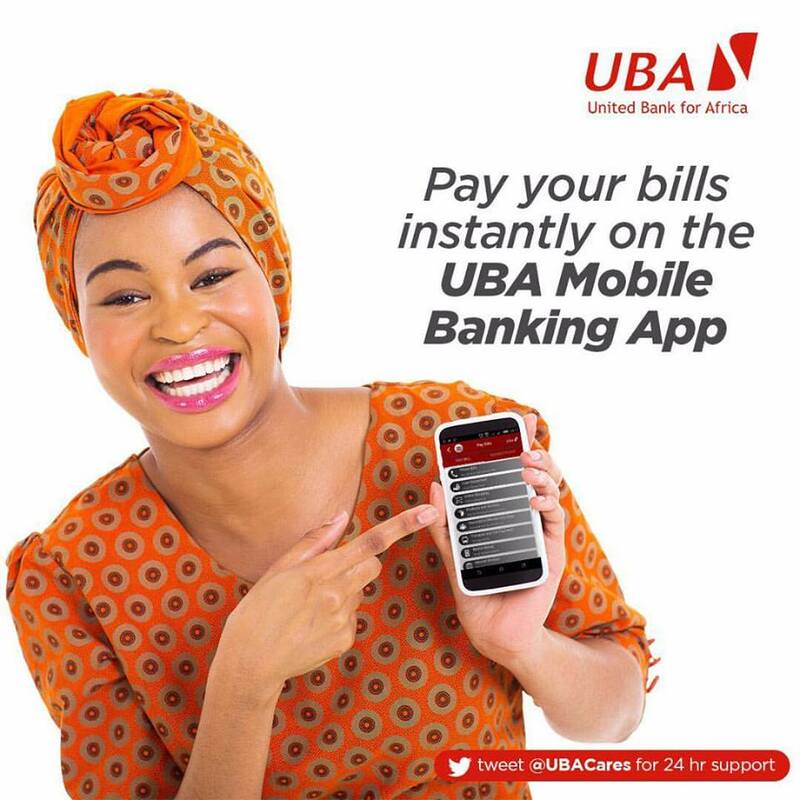 UBA is a highly diversified financial services institution and leading provider of innovative e-banking solutions across Africa. UBA is one of the largest financial institutions in Africa, with offices in New York, London and Paris. The UBA Group has strong retail penetration across the African continent with more than 8 million customers. These customers enjoy a bouquet of products and services tailored to meet their different financial needs backed by cutting edge technology that offers secured and convenient real-time online banking services.